I has posted a sneak peak at this design last week and got some wonderful feedback on it from the blog readers and those who follow us on Myspace and Facebook. Here's the whole design suite that I came up with for Megan and Josh. 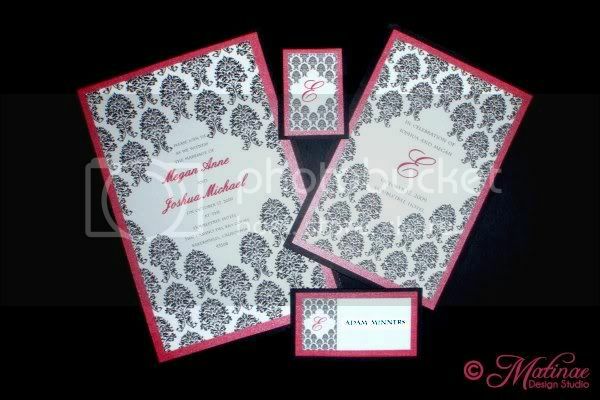 The suite includes a panel invitations, table numbers, favor tags, place cards, programs, and response cards (not pictured). I simply love how chic these turned out. 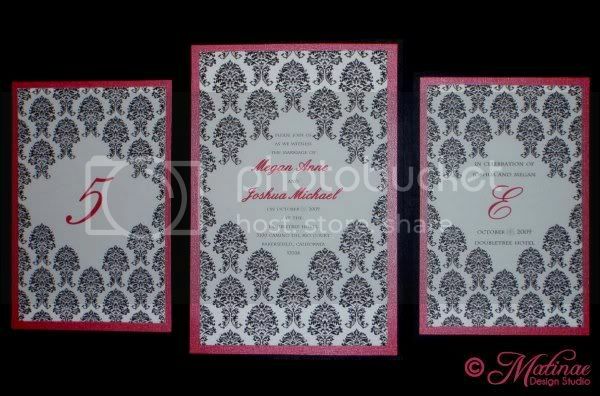 Everything is double matted on dark pink Bling cardstock and matte black cardstock.